When one country trains a force to infiltrate and destabilize its neighbor, it has committed an act of war. And by now, it is hardly a secret that Iran has been funding, arming and training radical factions of the Mahdi army. Still, most American politicians have been reluctant to call Iran's behavior exactly what it is: an act of war against Iraq — and against the United States. 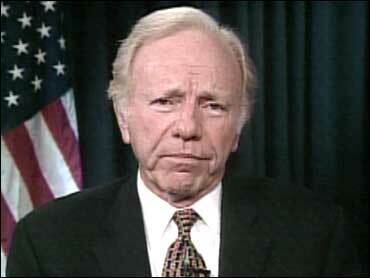 During a "Face the Nation" appearance a week ago, Sen. Joseph Lieberman said: "I think we've got to be prepared to take aggressive military action against the Iranians to stop them from killing Americans in Iraq." Lieberman had recently returned from a visit to Iraq, where he discussed Iran's role there with Gen. David Petraeus. Democrats and their "netroots" predictably worked themselves into a frenzy over Lieberman's comments. The antiwar group Code Pink protested outside Lieberman's office. Harry Reid said, patronizingly, "I know Joe means well," during a teleconference with left-wing bloggers. Reid argued that the way to handle Iran is diplomacy: a meeting among regional heads of state and President Bush. "Senator Lieberman's saber-rattling does nothing to help dissuade Iran from aiding Shia militias in Iraq," averred Wesley Clark on The Huffington Post. Well, at least he acknowledges Iranian complicity in the killing of Americans and American allies in Iraq. He nonetheless seems more exercised by Lieberman than by the Iranians. Clark concluded: "Only someone who never wore the uniform or thought seriously about national security would make threats at this point." Clark has now begun an online-petition campaign to tout the message, "War is not the Answer — Diplomacy is." We have already talked directly to the Iranians about their stoking of mayhem in Iraq, and it has availed us nothing. We have subcontracted out to the Europeans talking to them about ending their nuclear program, which has also brought nothing. Too many contemporary fans of "diplomacy" are invoking it with no appreciation for its limits — and no fallback plan when it fails. Our politics is at an extraordinary pass when a senator who suggests we should be prepared to take military action to protect American troops from hostilities undertaken by a sworn enemy of the United States is roundly denounced. No Republicans have spoken out in Lieberman's defense. Nearly everyone wants to take a "see no evil" posture toward Iran's involvement in Iraq, even though Gen. Petraeus has spoken forthrightly about its murderous handiwork. Lieberman's offense was merely to speak the truth. In May, Petraeus released evidence showing that Iran had provided the Qazali network, a radical breakaway of the Mahdi army, "with substantial funding, training on Iranian soil, advanced explosive munitions and technologies." Several of these fighters were captured, together with records of an attack they had led on U.S. forces in Karbala that killed five American soldiers. The records were apparently being maintained so the Qazali network could show the fruits of its labors to their benefactors in Iran, particularly the Qods force of the Iranian Republican Guards. It is sometimes argued that the Iranians responsible for arming our adversaries in Iraq are "rogue elements" of the Revolutionary Guard. But the Revolutionary Guard was founded precisely to take on sensitive missions for the Supreme Leader, since the pro-Shah army was considered unreliable. Indeed, the Supreme Leader appoints the head of the Revolutionary Guard. If he were unhappy with provocative "rogue actions," he could replace him. He hasn't. Why would he? Iran won't stop so long as there is no price to its acts of war. The controversy over Lieberman's remark shows how we aren't prepared to make it pay one.